Single-wide mobile home that has several additions. 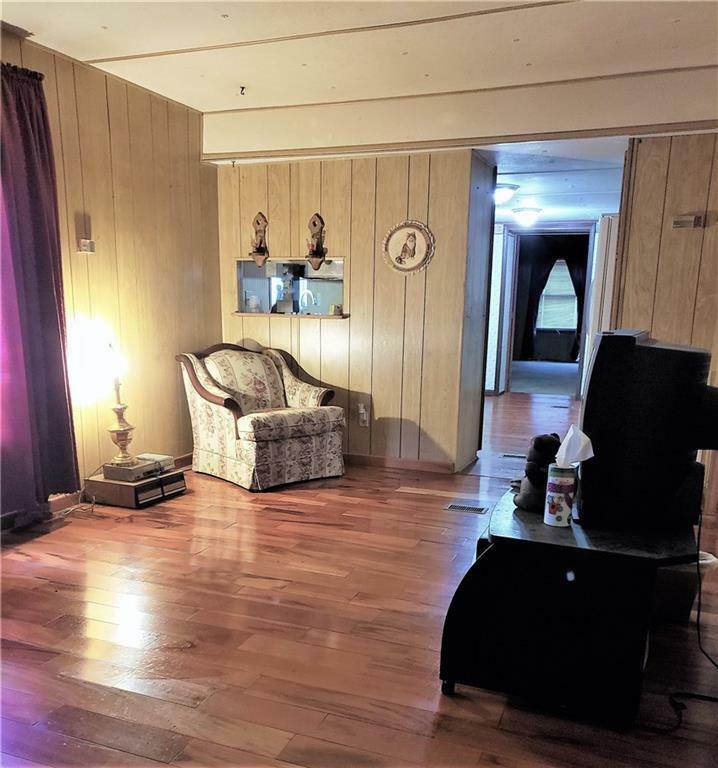 Additions are 2, possibly 3 bedrooms, foyer, and a HUGE family/dining room. 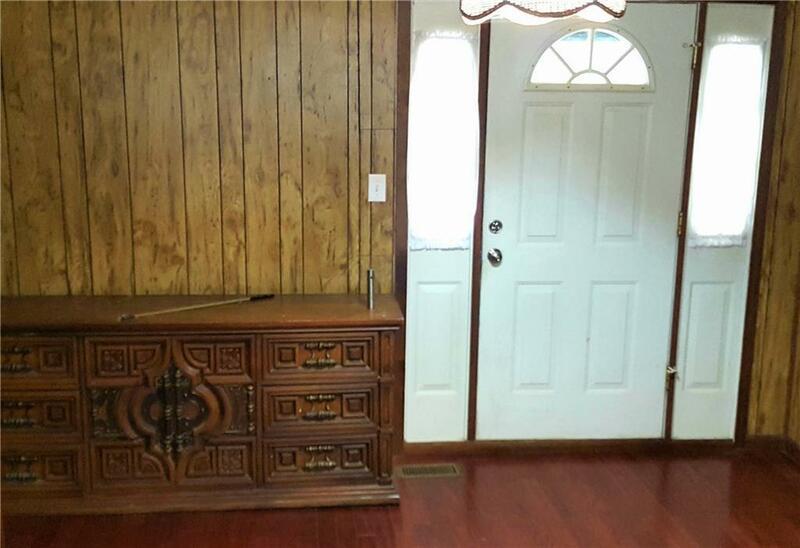 Home has lovely hardwood flooring in kitchen, living room, foyer, bedroom, and hall. 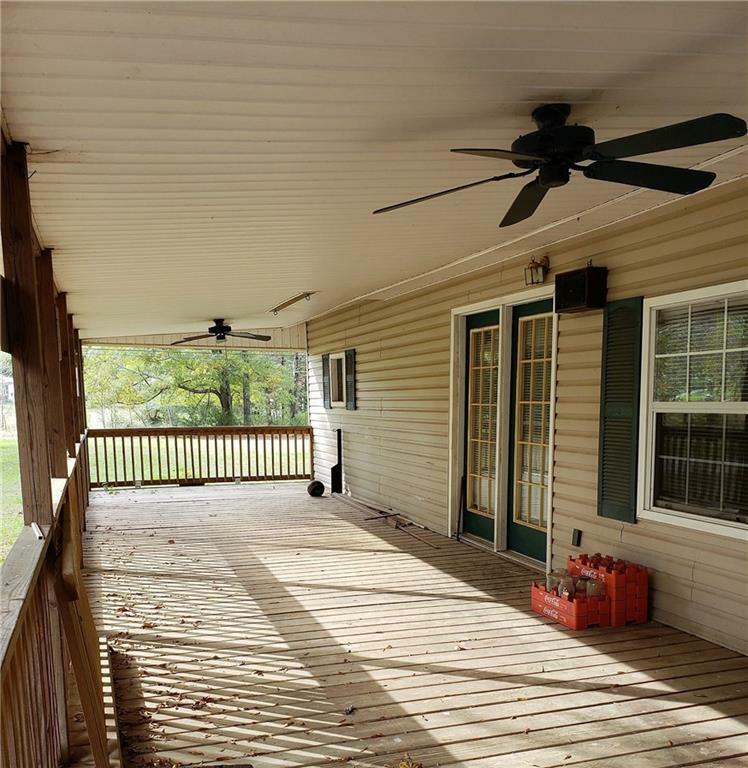 Large covered front porch, two pasture areas. Work area attached to garage; a couple of sheds; small building right off from home contains laundry area.